Norman Aladjem is a successful Hollywood talent manager, producer and most recently -- author. His new book, "From Me to You: Stories about Life, Love, Family, Faith, and How to Negotiate a Bigger Allowance, is made up of letters that he wrote to his daughter, Mackenzie. She was born a month after Norman's 45th birthday. Being an older parent, Norman wanted to make sure Mackenzie and his two older step-daughters knew how he felt about various topics in life as they grow older and embark on their own paths in life. Over the course of a year, Norman sat down and wrote a letter a week to his "sweet daughter," whom he lovingly refers to throughout the book. "...About an hour later, the planes hit the towers and the world turned upside down. But even in the context of that tragedy, you reminded us on that day, as you do every day, that no matter how dark things get there is always light. You also reminded us that sometimes you have to fight for that light, and pray for it, and push for it as if your very life depended on it." The lessons include everything from the birds and the bees, to the meaning of life, religion, marriage, failure and success in the entertainment industry, a story regarding the time he almost died in Morocco and a lot more. The idea of writing these stories, love and wisdom to your children in the form of letters is a beautiful gift -- one that probably becomes even more appreciated with age. While the letters were specifically written for Mackenzie and his family, the book is funny, heartwarming and speaks to everyone. 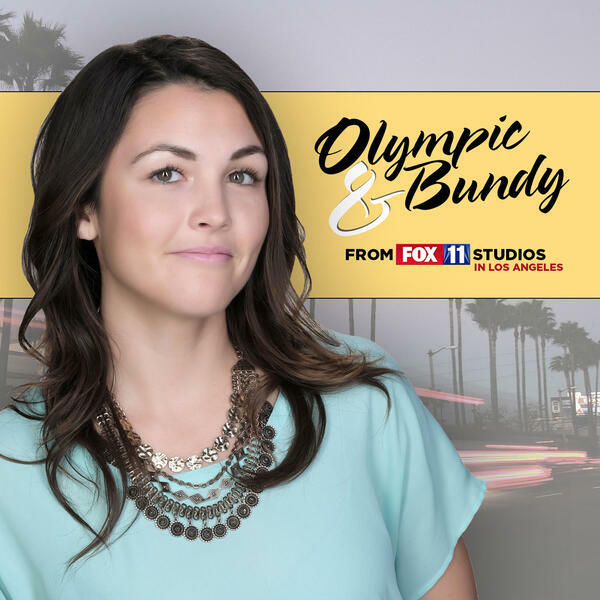 Norman, a UCLA Law School grad and CEO of Mainstay Entertainment, joined me on Olympic & Bundy to talk about his background as an immigrant to America, how the book came to fruition, the process of writing it and a lot more. Thank you to Norman Aladjem! Subscribe to Olympic & Bundy on iTunes, Google Play, Spotify and Stitcher.